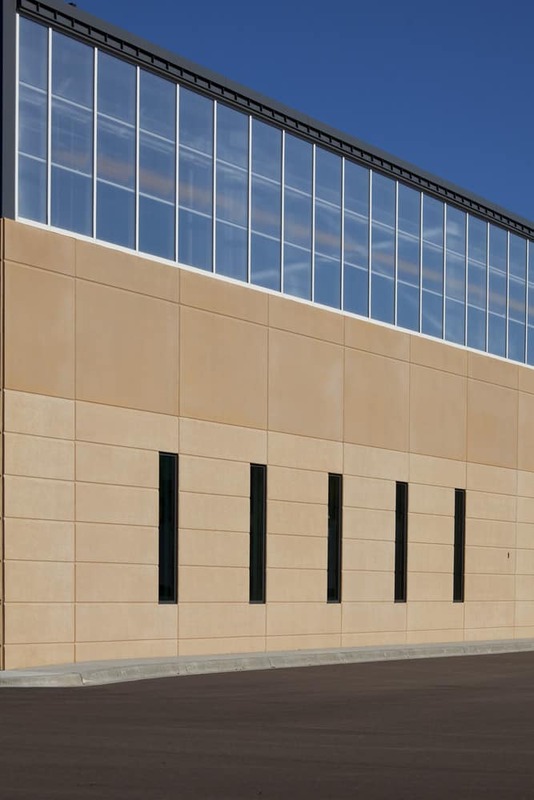 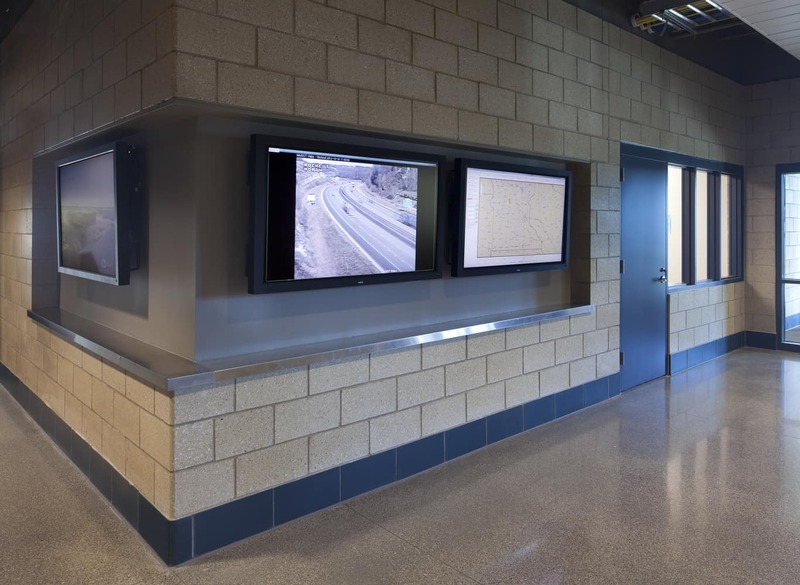 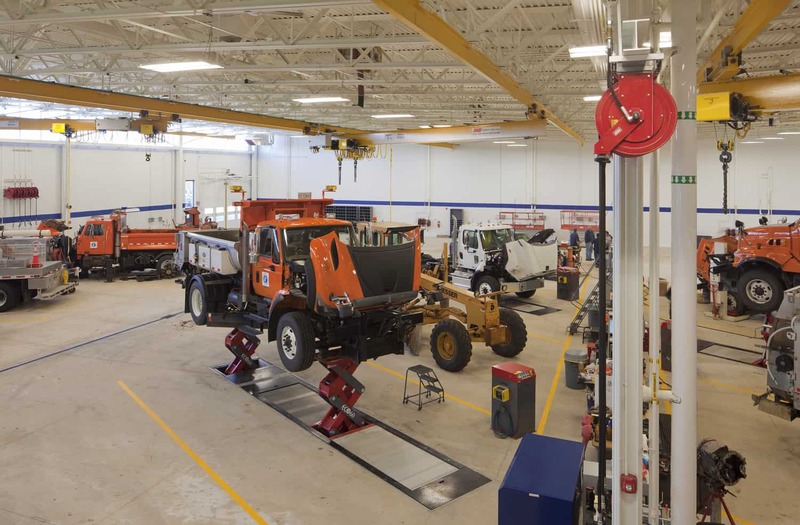 Serving as Minnesota’s DOT’s regional headquarters campus and central support station responsible for 1,422 miles of state and federal highways, 857 bridges, 3,538 miles of county roadways, 12 safety rest areas, 23 truck stations. 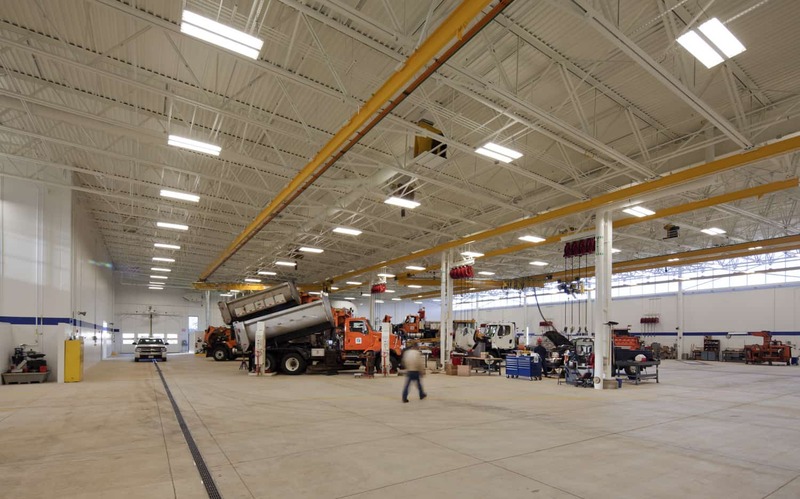 and approximately 20,000 acres of land, the maintenance facility addition and district headquarters remodel were planned to improve safety, functionality and energy efficiency while strengthening the campus with the new maintenance facility. 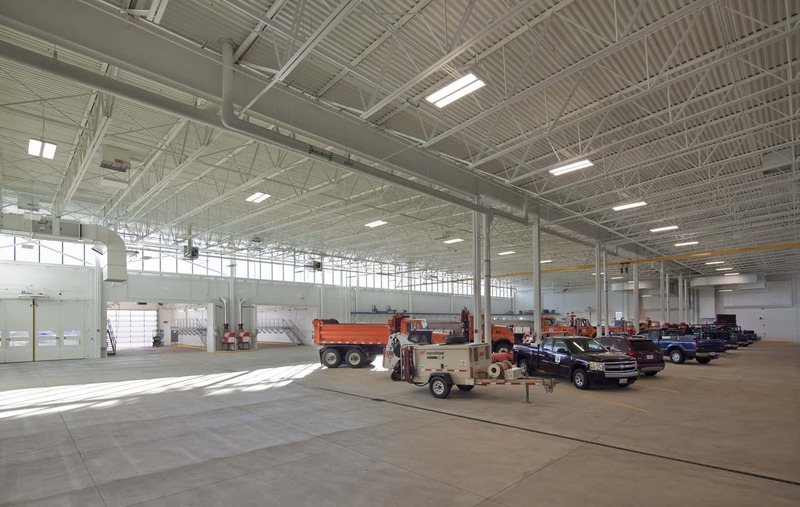 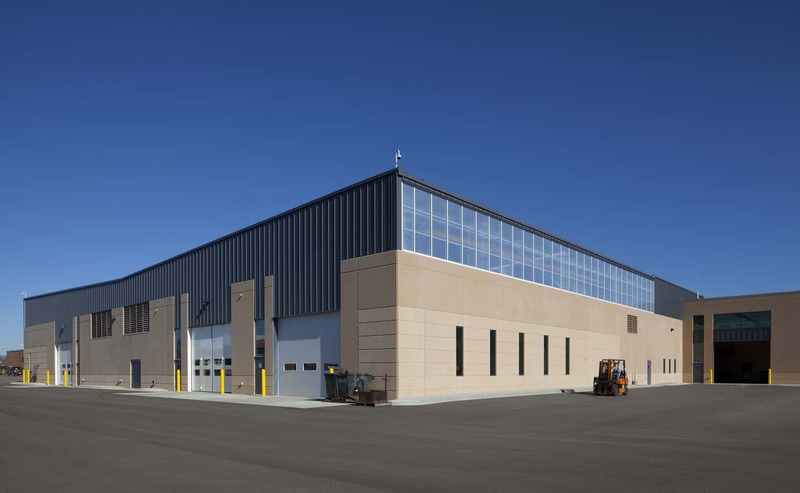 Through the addition, BWBR’s design solutions accommodated a range of services as well as storage for vehicles and heavy equipment. 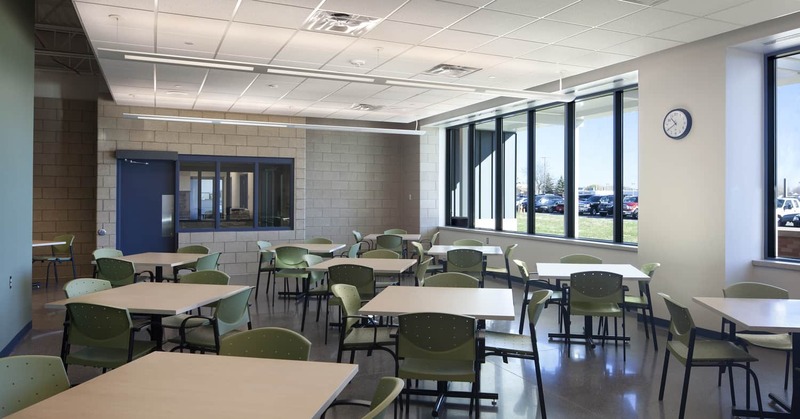 Open workstations programmed in the renovation gives the headquarters’ staff more flexibility, with natural light improving the working environment and adding to the facility’s sustainability efforts. 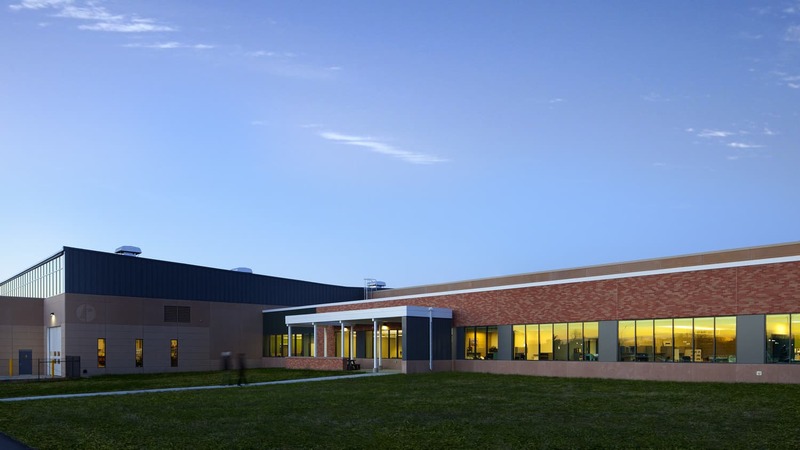 On the outside of the facility, the design incorporated a reconstructed existing stream to naturally divide the equipment yard and businesses nearby as well as integrate the landscape with the facilities to balance green space with the functions of the campus. 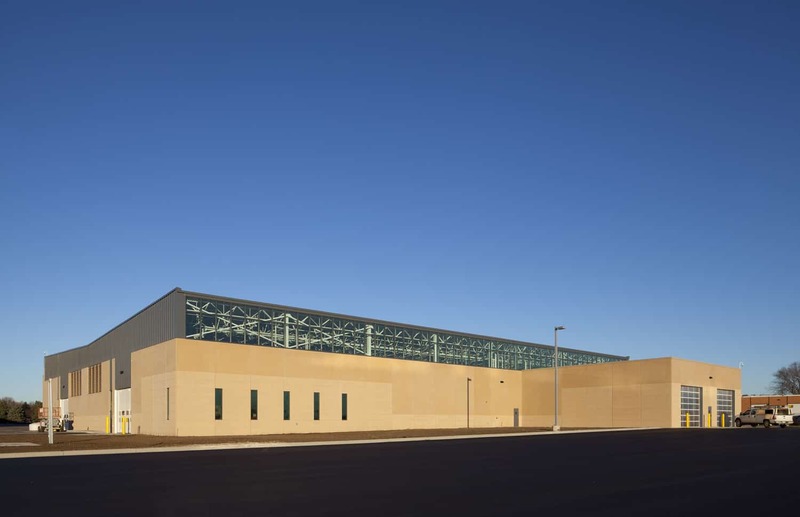 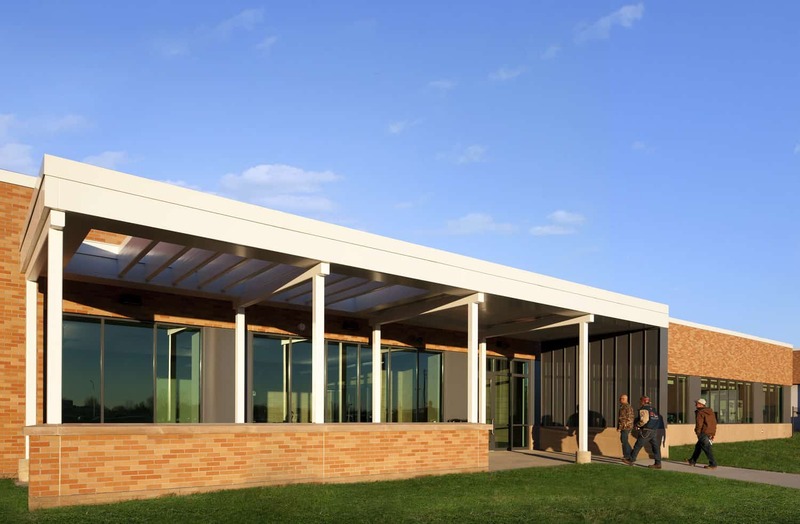 Expressive roof forms and windows enhance the visual image of the facilities and provides a better face along Highway 52 greeting visitors into Rochester.